Working in a bookshop I get the pleasure of meeting authors. 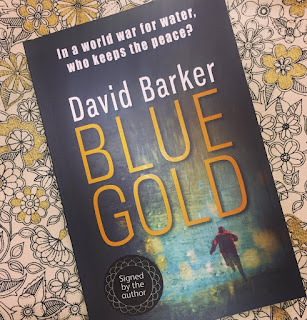 One of such is local author David Barker who has just released his first novel, Blue Gold. During the launch party, David took a few minutes out of the spotlight to answer some questions about what it's like being a published author, how he found the whole publishing process and what he has planned next. Blue Gold is out in paperback now in Waterstones stores and online. I’ve always enjoyed writing. Working as an economist in the city, I liked the challenge of making some analytical report clear, succinct and interesting just as much as I liked the analysis itself. I contemplated a role in financial journalism. After my daughter was born, I re-discovered the joys of reading out loud to her. When she was old enough, she asked me to make up stories at bedtime. If that was good enough for Tolkien, it was certainly a good-enough excuse for me to start writing fiction. Q. Where did you get the inspiration for Blue Gold? Around the same time that my daughter sparked a renewed passion for writing, I began to research the issue of water shortages more carefully. I still have a special edition of National Geographic from April 2010 that was dedicated to water shortages. Two images got stuck in my head and I knew that I had the start and end of a novel. I didn’t realise quite how much hard work and commitment it took to turn an idea into a 90,000-word story. Especially while holding down a full-time job. Coming home in the evenings, tired and surrounded by distractions, it can be very difficult to keep going. I did a good chunk of the first draft on the train during my commute. And then I discovered that it’s even harder to write well. A good plot isn’t enough. On the Faber Academy How To Write A Novel course we all had to submit our work-in-progress to peer review. That can be a bruising experience, especially when you are making so many rookie errors like I was. All told, it was probably a seven-year journey for me. Q. Did you have to do any research to write it? In my economist’s role, I try to predict the future: figuring out how the global economy will evolve is a key aspect of my job. Those ideas helped shape the world that became the setting for Blue Gold. I researched the trends that would affect the global water situation and the warnings for potential conflict over this precious resource. Then I tried to imagine a sequence of events that might lead us there. Q. How easy or hard was it finding a publisher? It’s very hard to get a traditional publisher interested. There are lots of budding authors vying for attention. Most agents’ slush piles of general submissions are enormous and it can be very difficult to get noticed especially if you are writing a book that is hard to define or in an unusual genre. Luckily, there are some independent publishers who will look at submissions from un-agented writers, and who are willing to take a chance with new voices. Matthew Smith, at Urbane Publications, was that man for me. Q. What was their first impression of Blue Gold? Silence at first! I began to suspect my submission to him was going to end in another rejection, but after a tense few weeks he sent me an e-mail late one Friday night saying he loved it and would I like to publish with Urbane? He loved the intrigue of the political machinations, the action and the two main characters, Sim and Freda. He also enjoyed a particular aspect of the ending, but I can’t talk about that yet! Q. How many drafts did you write and what was that process like? I think it was draft 9 that we went with in the end. The first draft – pre the writing course - was feeble and needed plenty of work. Then gradually after the course, and with the help of some professional editors and a literary agent’s suggestion, I managed to iron out all of the wrinkles. Although that sounds painful, I didn’t mind at all. I wanted readers to enjoy Blue Gold as much as possible and that meant getting the story, the structure and the writing just right. Q. What have people's reactions been to Blue Gold? I’ve been really pleased with the early reviews. They have all been 4 or 5 stars out of five. 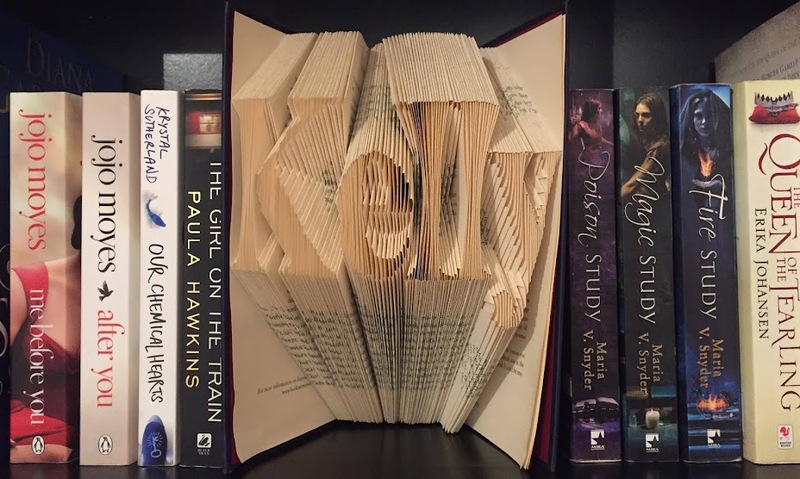 People who don’t typically read this genre have still connected with the characters. Others have enjoyed the pace and the action scenes. The ending, which draws together several strands weaved throughout the book, seems to have gone down well. And people are already looking forward to the sequel. Q. What advice would you give to people who want to start writing? Just write. If that blank piece of paper at the start of each session is intimidating, meet it head on. Get something down, even if it’s rubbish. The page won’t be blank any more and the writing will begin to flow. Don’t get bogged down worrying about the quality of the first draft. While I like to plot a lot of my story out in advance, others prefer just to see where their characters take them. Use whichever works for you. Q. What have you got planned as your next book?